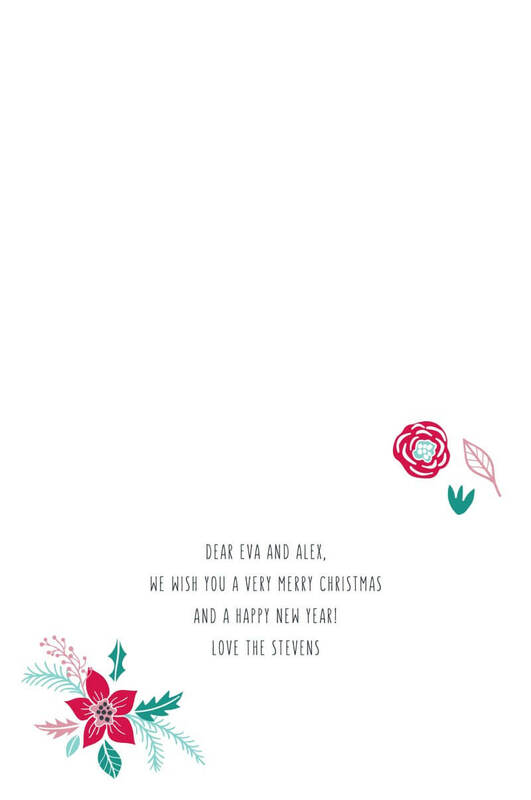 This incredible Merry Little Christmas collection by local designer Amelia Stevens is inspired by christmas cards designed in 3 colourways. 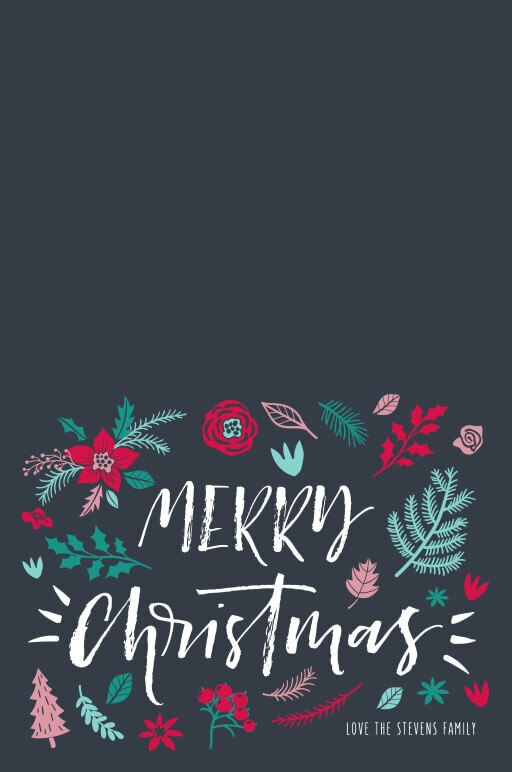 the outside incorporates a script 'merry christmas' coupled with colourful christmas illustrations and would be perfect for those wanting a floral theme. 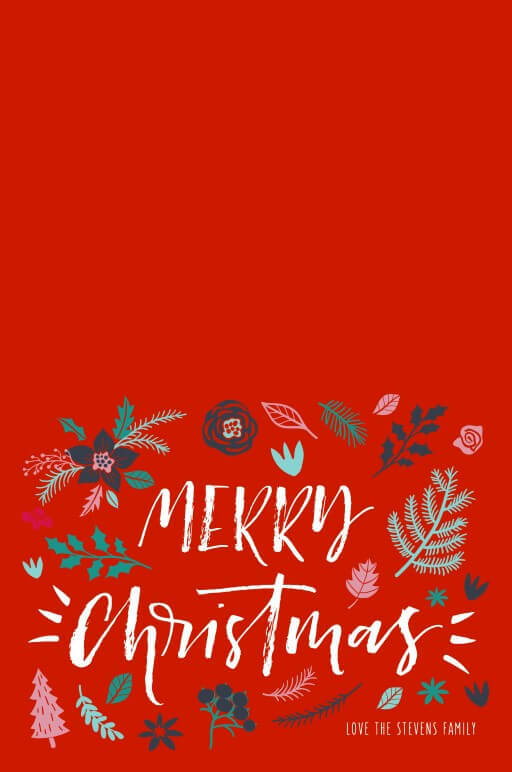 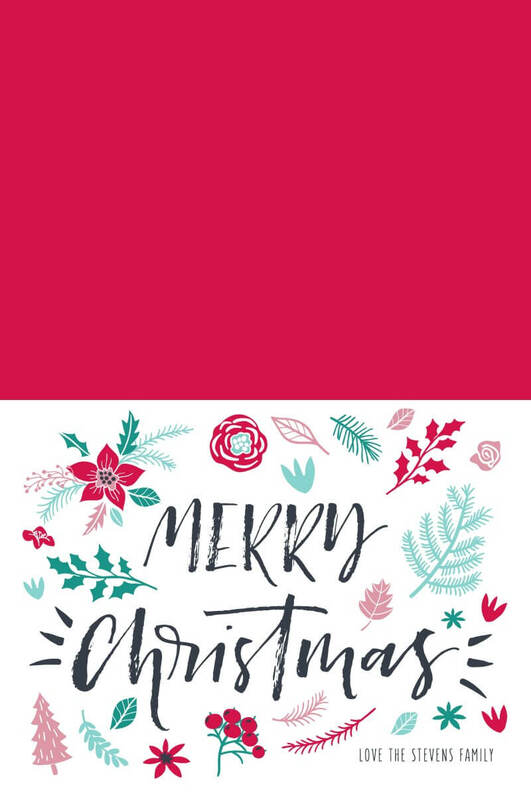 This Christmas card from the sophisticated Merry Little Christmas collection looks amazing when printed using Digital Printing and we think it looks stunning on Paperlust 300 GSM Matt.